Abseiling is descending on a vertical line on ropes. 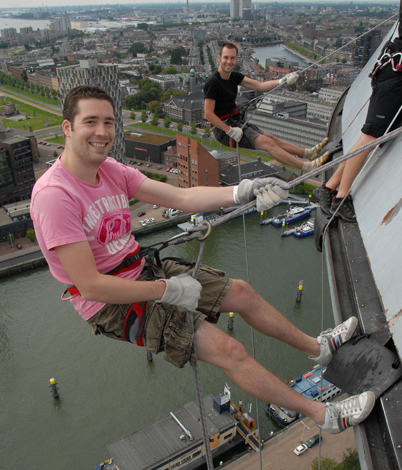 Abseiling is commonly used in climbing as a descent technique when walking around the object is impossible or too time consuming. With a belay- or abseil device one can descent from steep walls or high locations. Experience is not necessary, only guts! Before making your reservation, read our terms and indemnification statement. You go up by elevator to the platforms at 100 meters. You get a harness, gloves and a comprehensive instruction. Then you climb over the edge and face the instructor. He will explain how to use the ropes and how to slow down. The speed of your descent is up to you! 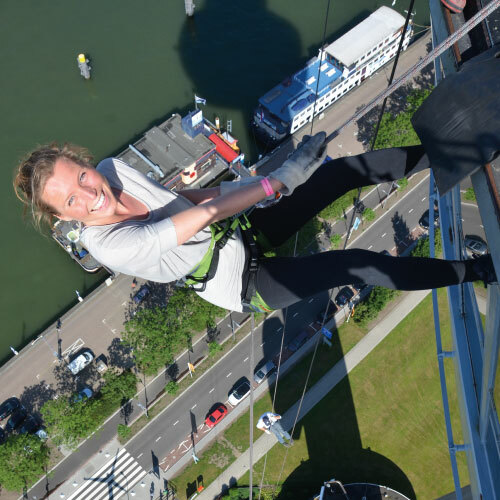 The abseil from the Euromast is a special one for there is no wall to push off from with your feet. You are in midair on a rope! Meanwhile you can chat with the instructor who will be guiding you along the way. 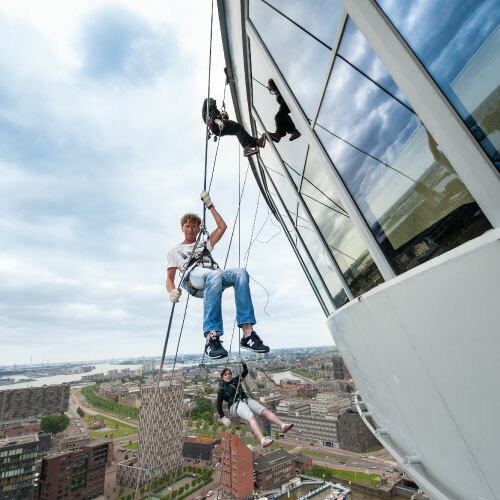 And, of course, you will enjoy the view and the adrenaline!